Spring is finally here pretties! And to celebrate in collaboration with Lolabelen Clothing ( LBC) we will be doing a giveaway!! Winner will select their favorite look! This fresh new line is so versatile and fun! Go here: http://kck.st/1fhfZyL to see who this model is--that is if you don't already recognize her! **MUST BE a follower of LOLABELENCLOTHING and withlovefromkris on Instagram. 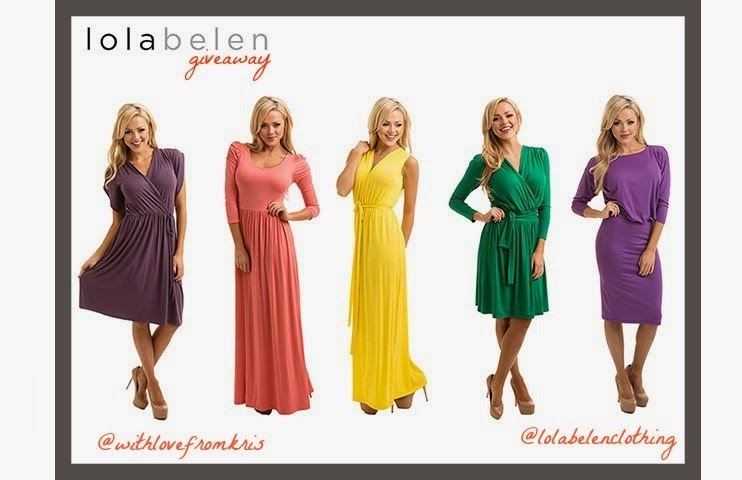 *Like LOLABELENCLOTHING on Facebook and follow this blog. (For double entry) Post the link to this giveaway on your Facebook. Don't forget to let us know in the comments below when you are "done" and let us know which look of the four you would like to WIN! Giveaway will close on Friday at midnight.